Neuschwanstein Castle (German: Schloss Neuschwanstein, pronounced [nɔʏˈʃvaːnʃtaɪn], English: New Swanstone Castle) is a nineteenth-century Romanesque Revival palace on a rugged hill above the village of Hohenschwangau near Füssenin southwest Bavaria, Germany. The palace was commissioned by Ludwig II of Bavaria as a retreat and as a homage to Richard Wagner. Ludwig paid for the palace out of his personal fortune and by means of extensive borrowing, rather than Bavarian public funds. The palace was intended as a personal refuge for the reclusive king, but it was opened to the paying public immediately after his death in 1886. 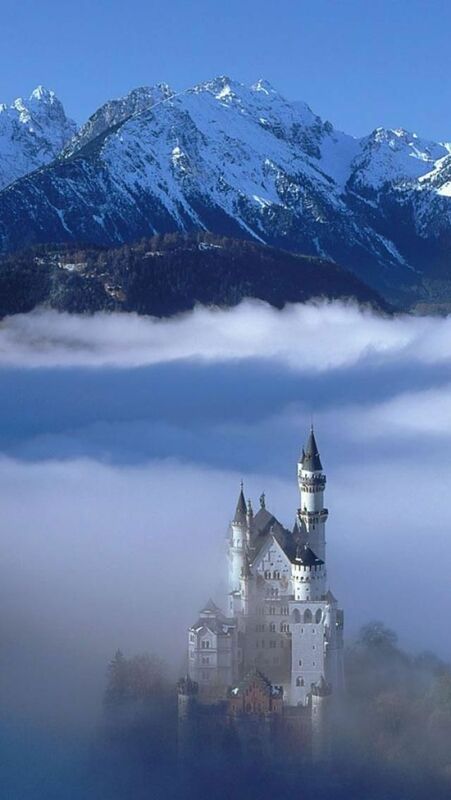 Since then more than 60 million people have visited Neuschwanstein Castle. More than 1.3 million people visit annually, with as many as 6,000 per day in the summer. The palace has appeared prominently in several movies and was the inspiration for Disneyland's Sleeping Beauty Castle and later, similar structures.